Mystery glass lead acid battery from Washington State. Mystery Battery, please let us know if you recognize it. 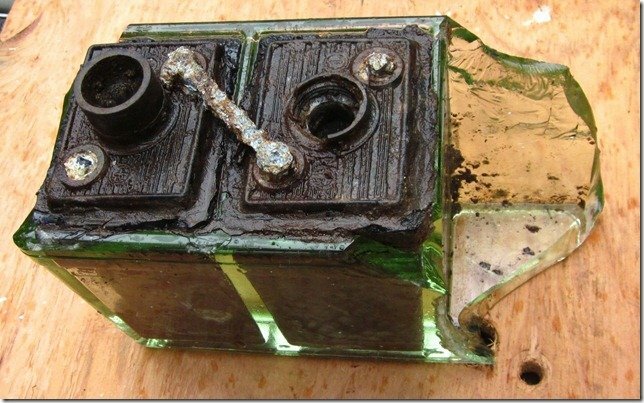 David, in Washington sent us this picture, he says "At a construction site near Seattle, land that had been undisturbed for probably 80+ years, I unearthed yesterday this old car battery.. 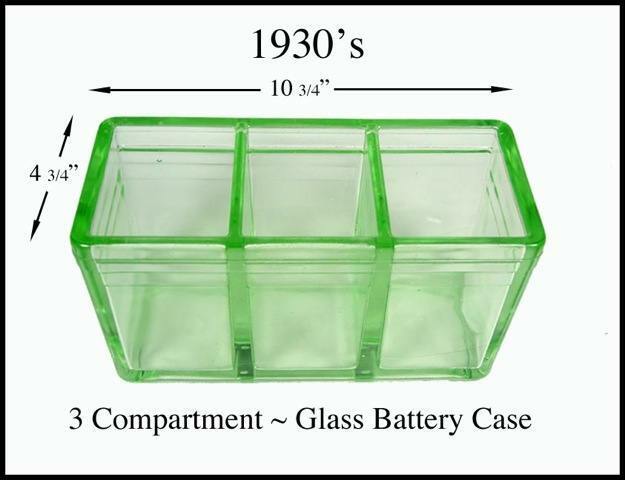 It is obviously 2/3 of a 6 volt lead acid battery, with the glass case broken. Does anyone know of the manufacturer, the application, or anything about this? I have a glass case like the one in this photo (your photo) that is undamaged...I am including a photo.... I have been using it for a letter holder on my desk for a few years.